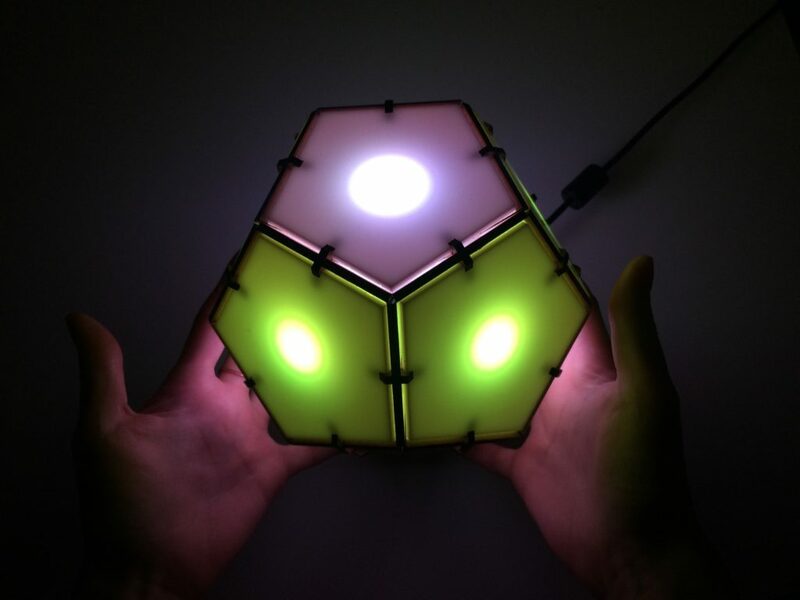 After successfully building a gigantic geometric interactive light structure, Jonathan Bumstead decided to do things in a more approachable manner, creating a more a reasonably-sized dodecahedron controlled by an Arduino Nano. The device, named “Bucky Glow,” uses 11 RGB LEDs to light up each side with the exception of the bottom pentagon section. While it doesn’t have its own light, the base does have a few interesting tricks of its own, with both an opening for programming the Arduino, along with female headers that allow you to access 11 of its I/O pins. This means that you can hook up your own sensors to create your own interactive contraption without designing everything from scratch, and an app interface is even available if you’d like to forgo programming, at least initially. 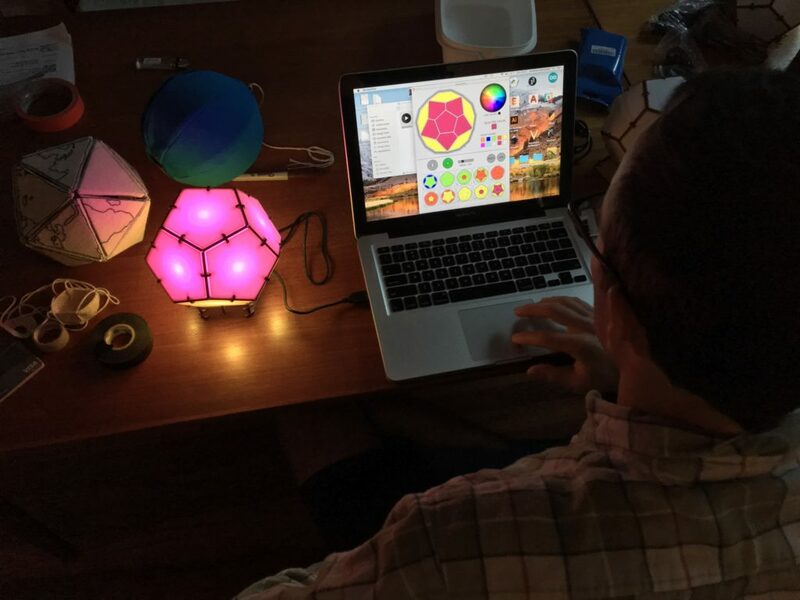 The Bucky Glow is an interactive LED dodecahedron consisting of 11 LEDs, which are controlled with an Arduino Nano. Using the Arduino programming environment, you can create endless light-up patterns. The Bucky Glow also includes break-out header pins, so you have access to eleven digital I/O pins, a TX (transmit) pin, a RX (receive) pin, reset pin, and ground pin. These pins enable you to connect the Bucky Glow to sensors (e.g. capacitive touch, infrared, ultrasonic), motors, MIDI jacks, and any other electronics you can think of. There are tons of unique ways to make the Bucky Glow musical and interactive. More info on the Bucky Glow can be found in Bumstead’s write-up here, and kits are on sale via the demo video’s description.